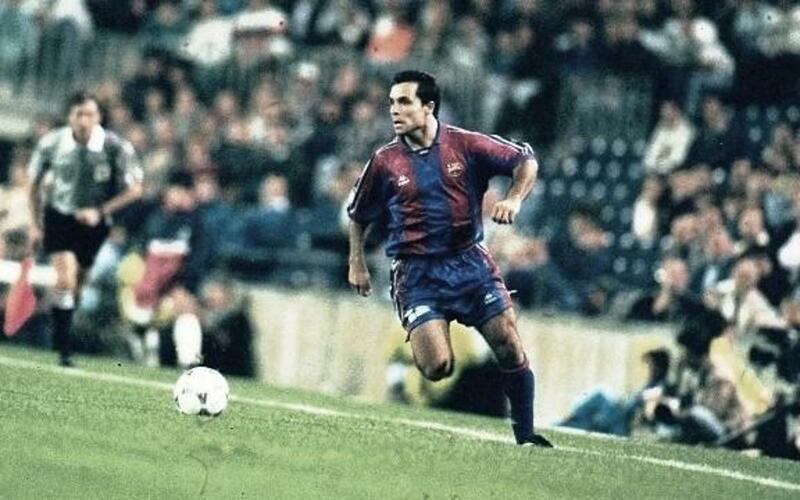 Born in les Fraqueses near Barcelona in 1971, Sergi Barjuan came up through the youth ranks at the Club before making his first team debut on 24 November 1993 in a Champions League game away in Turkey against Galatasaray. The game ended goalless but Sergi left his mark on the game as an attacking defender. More or less from that day he became a fixture in the team and in 1994 he appeared in the World Cup in the USA. Sergi and Albert ‘Chapi’ Ferrer at right back formed a devastating full back threat for several seasons at the Club. In his final season at Barça, Sergi took over the Club captaincy from the departing Pep Guardiola.